Large-scale study shows that excessive alcohol consumption impacts breathing. More than one-quarter of the US population qualify as excessive alcohol consumers. Studies show that alcohol use impacts several lung diseases, with heavy consumption associated with poor clinical outcomes. Now, a study from researchers from at Loyola University shows that adults who drink excessively have less nitric oxide in their exhaled breath than adults who don’t drink. The team state that their findings are significant due to the fact nitric oxide helps protect against certain harmful bacteria. The study is published in the journal Chest. Previous studies show that nitric oxide is a colourless gas produced by the body during respiration. A nitric oxide molecule consists of one nitrogen atom and one oxygen atom. Nitric oxide and similar molecules play an important role in killing bacteria that cause respiratory infections. The current study shows that alcohol appears to disrupt the healthy balance of nitric oxide in the lungs. The current study examined data from 12,059 adults who participated in the National Health and Examination Survey (NHANES) between 2007 and 2012; NHANES conducts interviews and physical examinations to assess the health and nutritional status of Americans. Excessive drinkers were defined as people who imbibed more than one drink per day on average for women and more than two drinks per day for men, and people who binge drink at least once per month, which encompasses four or more drinks per occasion for women and five or more drinks for men. Results show in the sample population examined, 26.9% of the participants were excessive drinkers. Data findings show, after controlling for asthma, smoking, diet, demographics and other factors, that exhaled nitric oxide levels were lower in excessive drinkers than in adults who never drink, and the more alcohol an excessive drinker consumed, the lower the level of nitric oxide. The group state that, to their knowledge, this is the first study to report such a link between excessive alcohol consumption and nitric oxide. 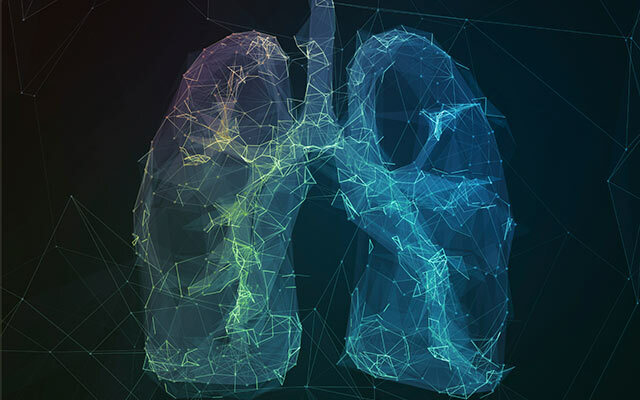 The team surmise that asthma patients, the amount of exhaled nitric oxide in a breath test provides a good indication of how well the patient’s medication is working. They go on to add that excessive alcohol consumption might complicate the results of such tests, which may need to be taken into consideration. For the future, the researchers now plan to explore the complex interaction between alcohol and nitric oxide in the airways.